Although I spend most of my time writing and reading, I do attempt to experience the non-literary world from time to time. Besides endless political arguments and serving on various boards and committees, I also attend musical events (such as the Heifetz International Music Institute Summer Festival of Concerts) and plays (I’m a regular at the American Shakespeare Center‘s Blackfriars Playhouse) and visit museums (I’m an out-of-town member of the Virginia Museum of Fine Arts, which I try to get to a couple of times a year). Occasionally I’ll go to another city for a cultural foray, such as my epic trip last year to Washington DC where I saw 3 plays and visited a dozen or so museums over a four-day period. A couple of years ago I spent a few days in Chicago–2 plays and 3 museums. This year, I hadn’t planned such a trip until I discovered that my college roommate–an actor with much success over the years in both television and theater–was going to be playing the role of the Wizard in the new national touring company of Wicked, the musical. (He also played that part in the Broadway production for a while.) I didn’t make it to DC when the show was at the Kennedy Center (I’ve seen him in other shows there in the past) but saw that the tour was coming to Philadelphia this summer. So I let him know I’d be coming, bought a ticket, booked a seat on the train and a hotel room, and got suggestions for other things to do while I was there. Sadly, however, due to a family situation, my friend had to leave the show before I got to see it. My thoughts are certainly with him and his family, but for me, it was too late to undo the plans I’d made. So, on Friday, off I went to Philadelphia. The show that night was great. (It would have been better with my very talented friend as the Wizard, but the two witches were awesome.) The show, based on a novel, has been around now for 14 years, but so much of the story and language has political implications for today. (Is Trump the phony behind the curtain?) 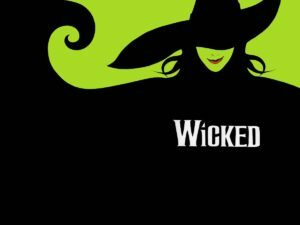 You might be interested in this article: Examining the Politically Charged Nature of ‘Wicked’. Then on Saturday, I headed out to museums. First stop was the Barnes Foundation, which I had not heard of until Facebook friends recommended it. What a strange museum! Strange in a good way. Dr. Barnes, who died in 1951, amassed an amazing collection of art–you’ve probably never seen so many Renoirs in one place–and had certain ideas about displaying his collection in “ensembles”–usually a large piece with others arranged around it with some thematic or other connection. The displays now reflect the way he had them when he died. I’m very glad I went.